We hope you had a wonderful Thanksgiving. We are thankful for you! 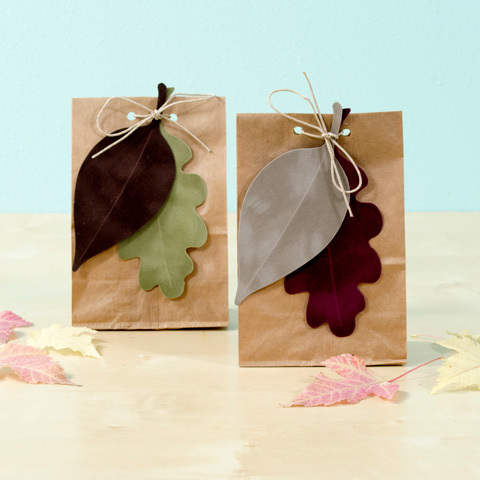 Earlier this month, we made these adorable gift bags for fall and thought the idea would be perfect for winter or Christmas as well. 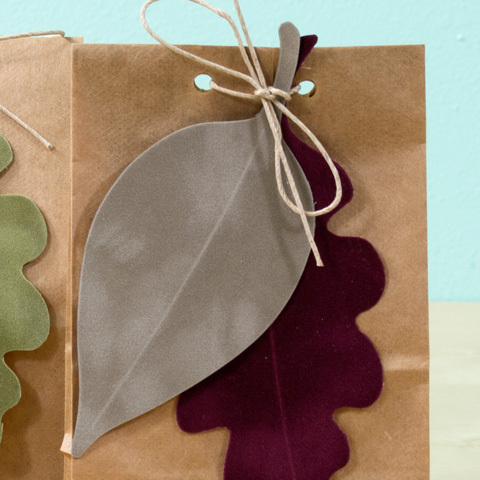 We just used a simple brown paper bag, tied it up with string and leaf shapes cut out of lush velvet paper. For winter, try cutting out berries or snowflakes using your cutting machine or die-cut. For christmas, how about some holly shapes instead? Now, what to put in that adorable gift bag? Don't worry! We have lot's of ideas coming soon!